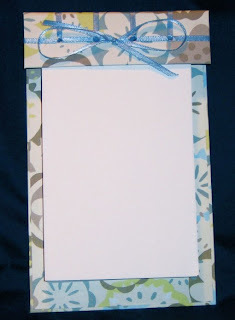 Today's featured item is this creative use of the Japanese 4-hole binding to make an open-face-type notepad. This would be perfect beside my telephone. The traditional 4-hole binding is very elegant on its own, but combined like this with the pretty paper and ribbons, its just the best way to present an otherwise simple open-faced notebook! I just want to go make some right now. Check out these notebooks and lots of other styles, available at Subu.Etsy.com.